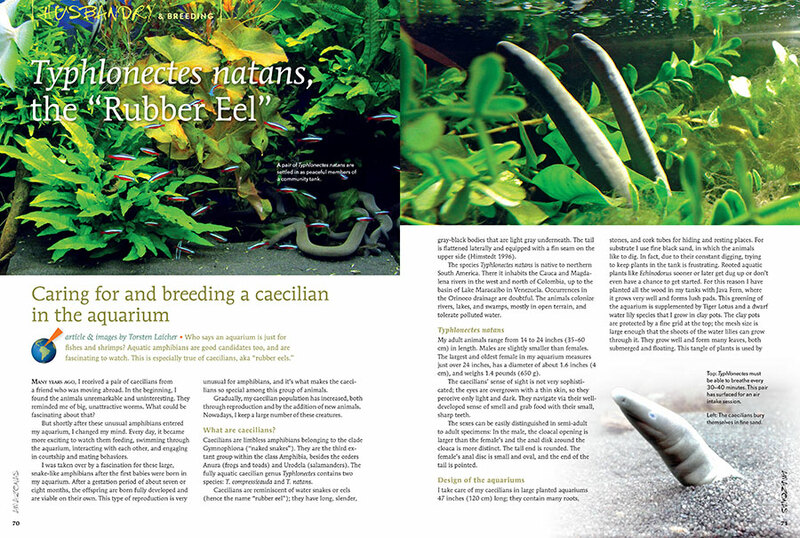 An invigorating start to 2018 and our 7th year, AMAZONAS Magazine, Volume 7, Number 1, PALUDARIUM PRIMER. 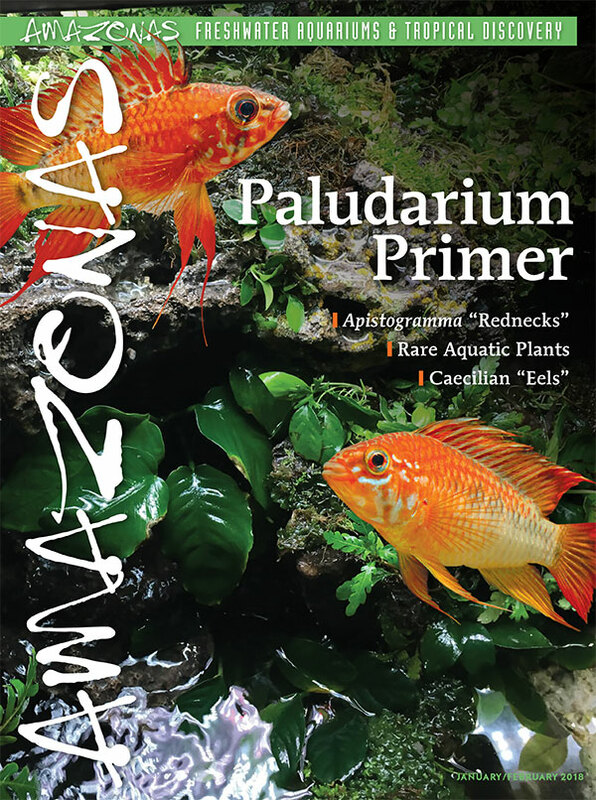 On the cover: In the background, the Paludarium of Sam Rutka, and two male Apistogramma macmasteri “Vieja Redneck” by Hans-Georg Evers. 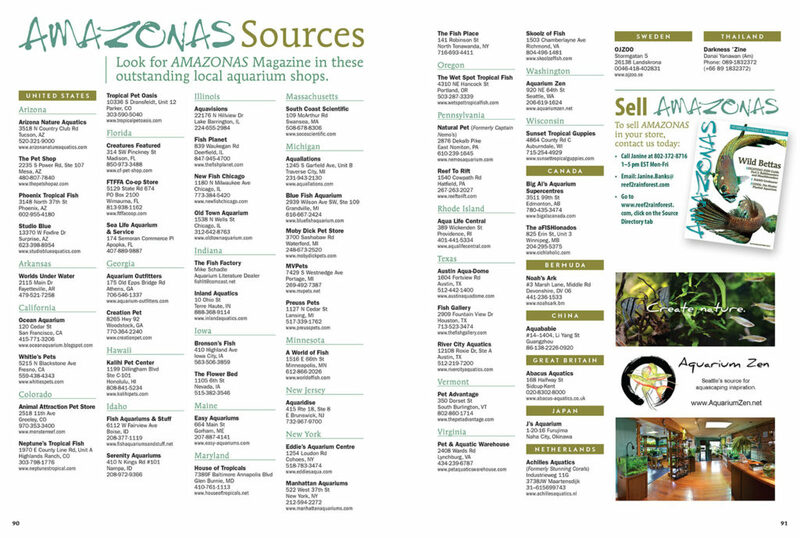 The January/February 2018 Issue of AMAZONAS Magazine is printed and now on its way to magazine subscribers, local aquarium shops, and better bookstores. On sale December 5th, 2017. 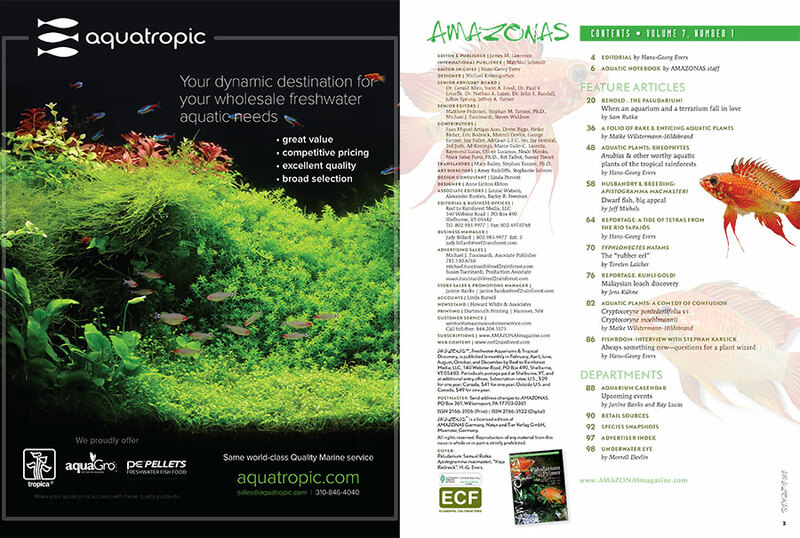 Our Table of Contents: your guide for finding cover-to-cover must-read content and exciting features from expert contributors. 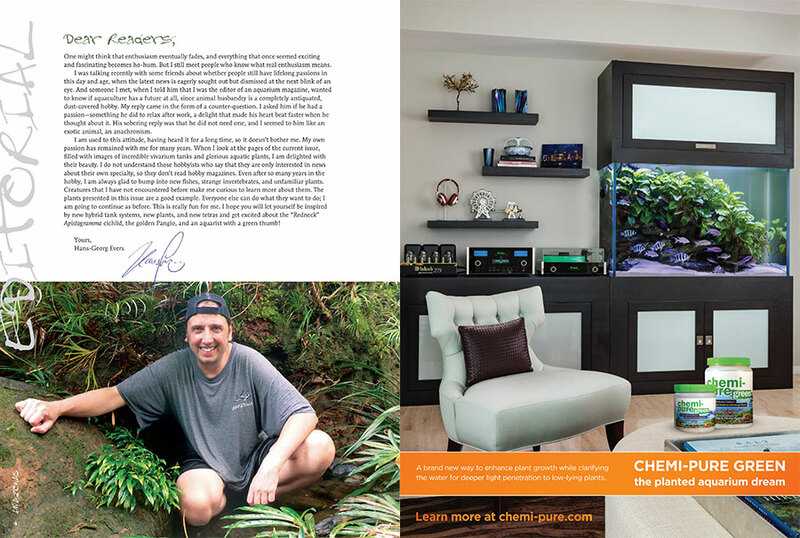 Read the TOC online here. “One might think that enthusiasm eventually fades, and everything that once seemed exciting and fascinating becomes ho-hum. But I still meet people who know what real enthusiasm means.” As he introduces the issue, Hans-Georg Evers delves deeper into the passion that fuels us all. 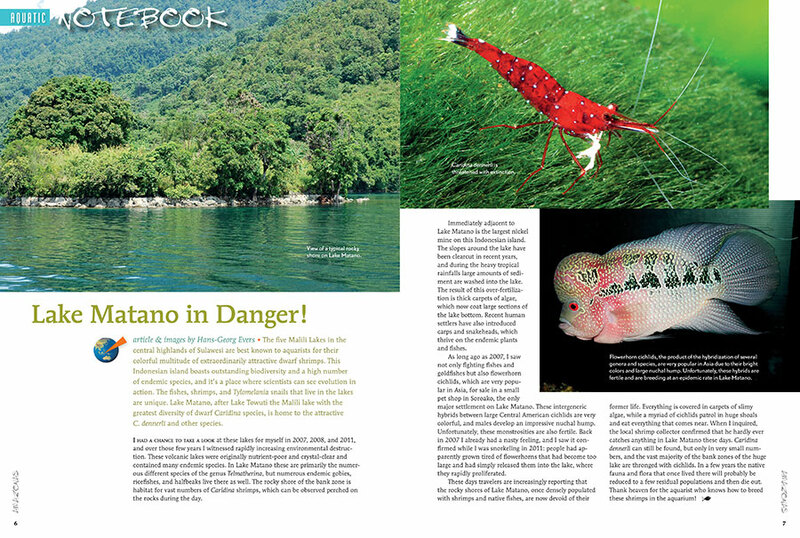 Sulawesi’s five Malili Lakes, best known for extraordinarily attractive dwarf shrimps, were originally nutrient-poor and crystal-clear. 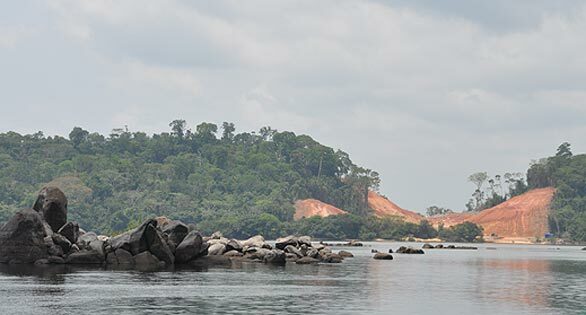 Though they are home to many endemic species, multifarious man-made threats happening now may forever alter these special habitats. For the second year running, the “World of the Aquarium Hobby” fascinated visitors at the Tierwelt-Messe (Animal-World Exhibition) in Magdeburg, Germany. 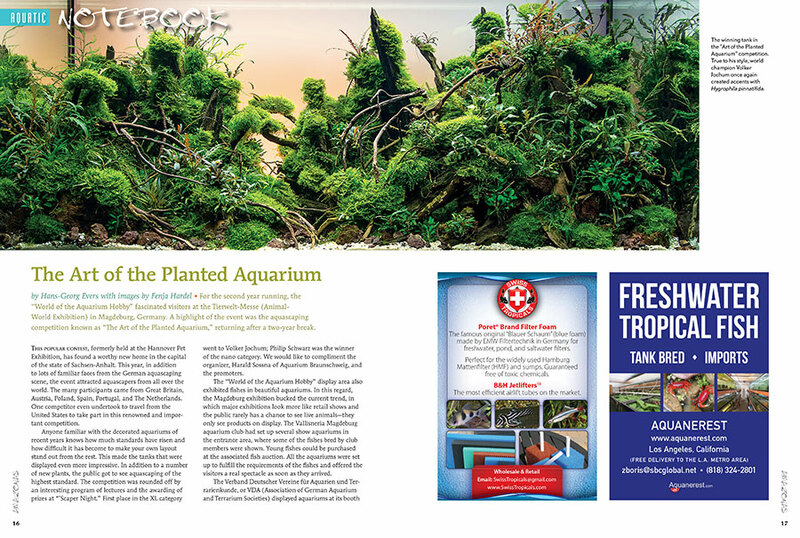 See the winning aquascapes from “The Art of the Planted Aquarium” in the new issue. 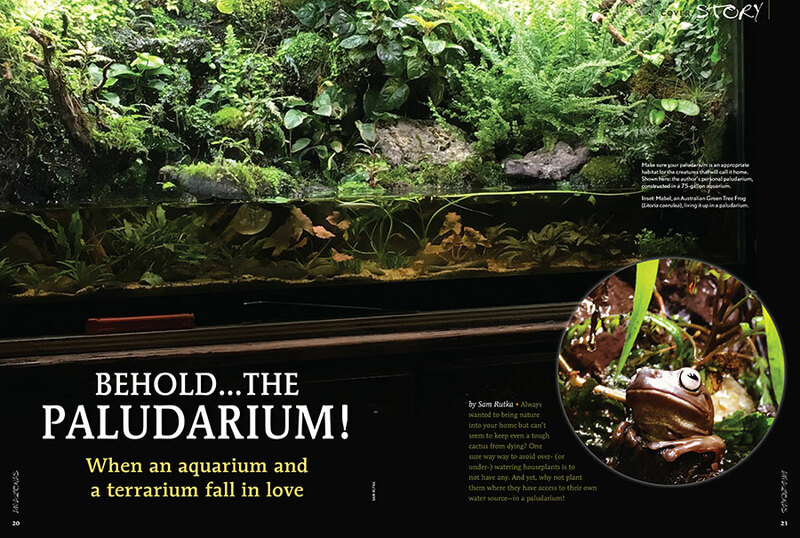 First-time contributor Sam Rutka brings us our cover story: Behold…The Paludarium: When an aquarium and a terrarium fall in love. 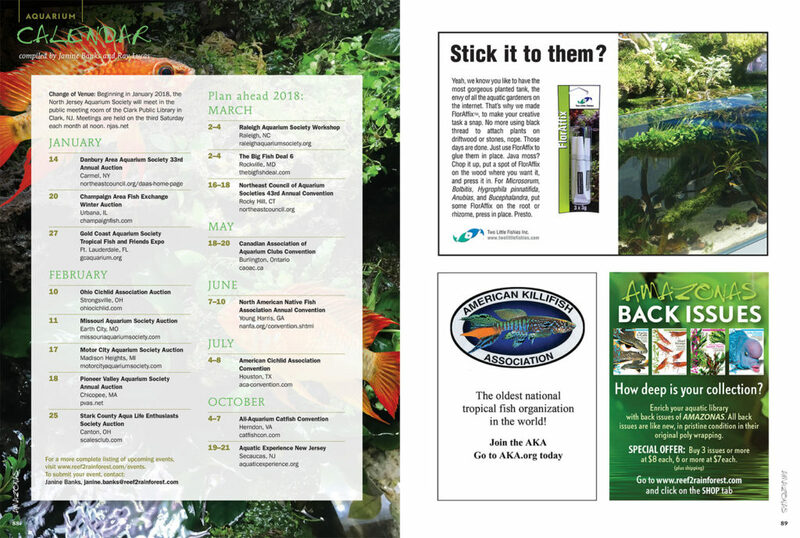 Maike Wilstermann-Hildebrand introduces several lesser-known new and easy-to-cultivate aquarium plant varieties. 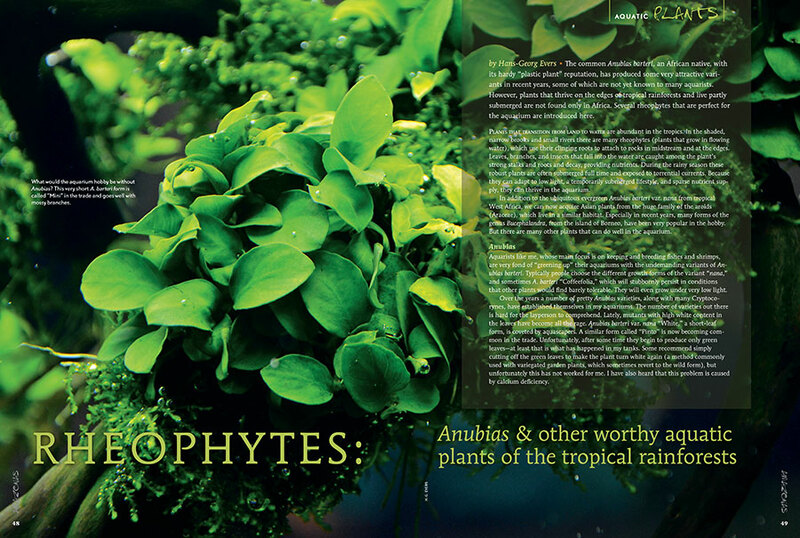 RHEOPHYTES: Anubias & other worthy aquatic plants of the tropical rainforests, by Hans-Georg Evers, looks at Anubias, Bucephalandra, and the relatively unknown Schismatoglottis for resilient aquarium plants found along the water’s edge. 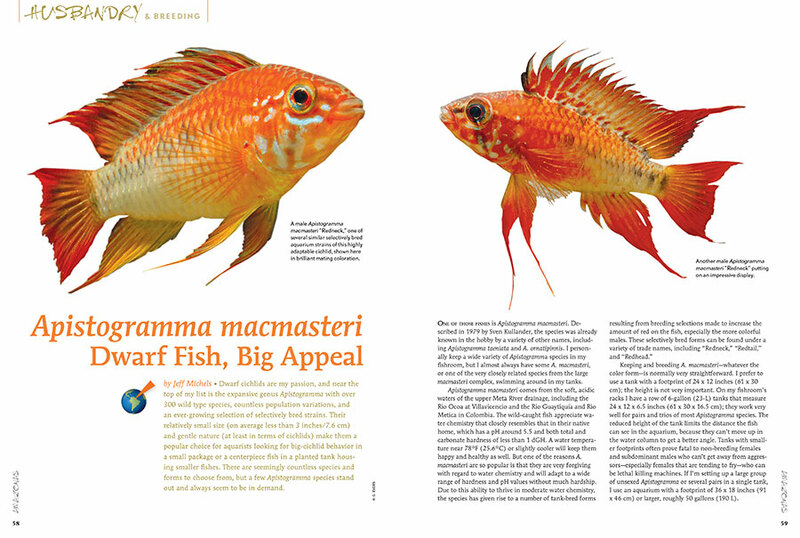 “I almost always have some A. macmasteri, or one of the very closely related species from the large Macmasteri Complex, swimming around in my tanks.” New contributor Jeff Michels provides an overview of this popular species cluster. 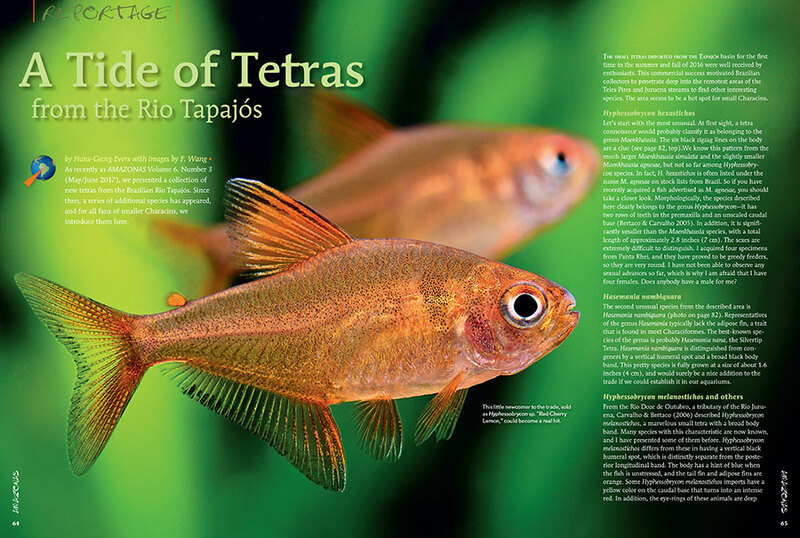 Hans-George Evers and F. Wang introduce several small tetras imported for the first time from the Tapajós basin. 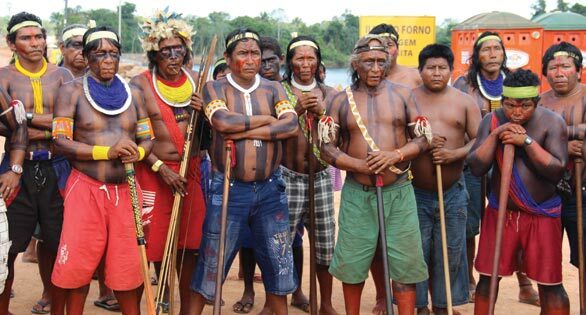 Commercial success has motivated Brazilian collectors to penetrate deep into the remotest areas of the Teles Pires and Juruena streams to find other interesting species. 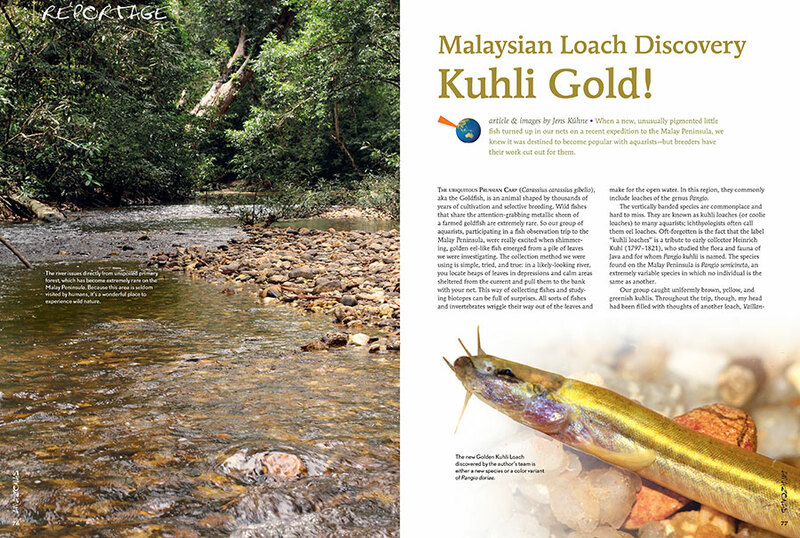 Did you think you knew everything there was to know about Kuhli Loaches? Well, Jens Kühne just struck Gold! 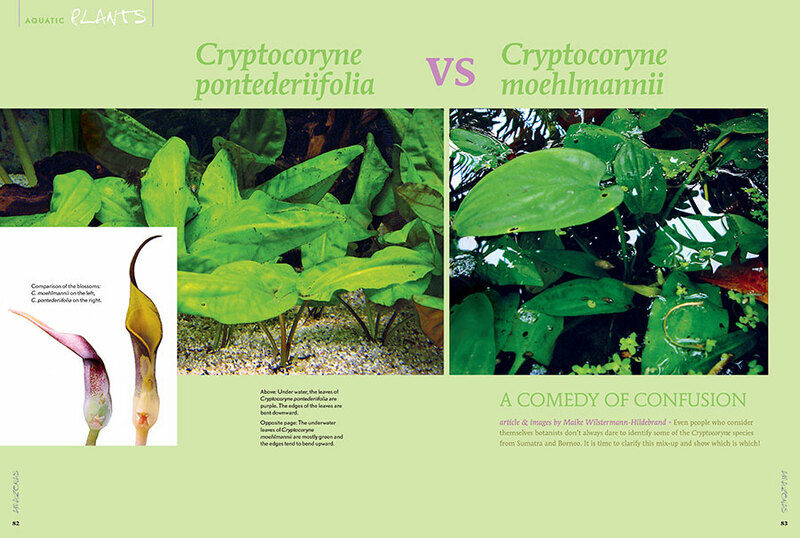 Maike Wilstermann-Hildebrand provides the tools you need to once and for all settle the differences between Cryptocoryne pontederiifolia and Cryptocoryne moehlmannii. 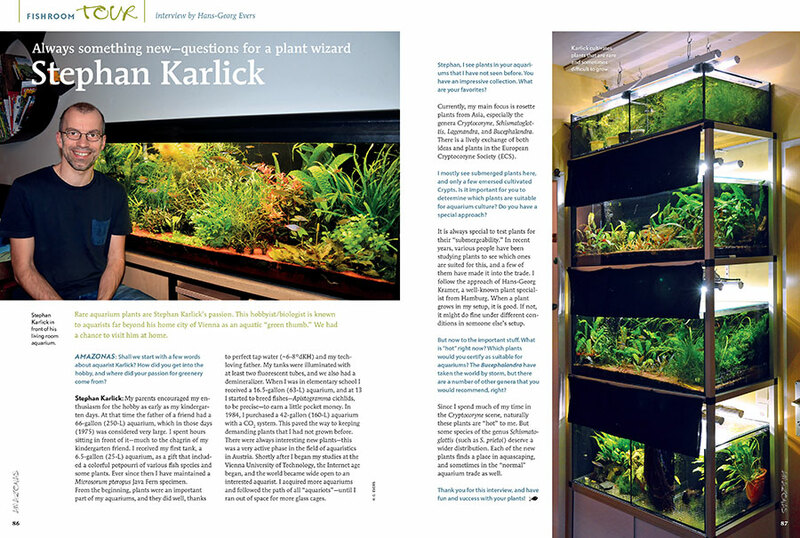 Aquatic Interview: Rare aquarium plants are Stephan Karlick’s passion. We had a chance to visit him at home. 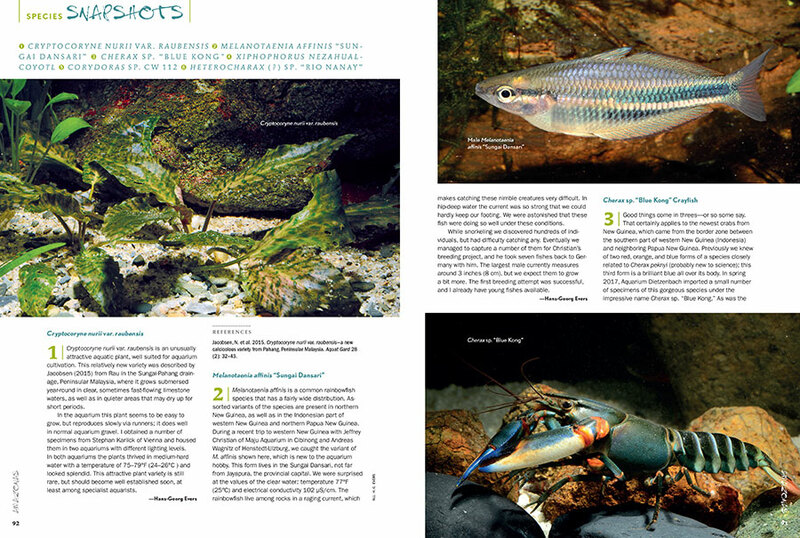 AMAZONAS Magazine’s must-read Species Snapshots keep you in the loop on what’s new, exciting, or flying below the radar in the freshwater aquarium trade. 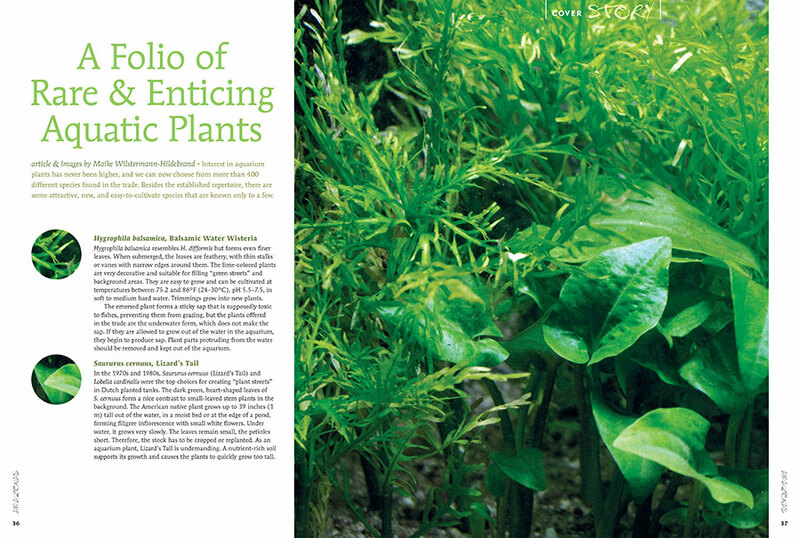 In this issue: Cryptocoryne nurii var. raubensis, Melanotaenia affinis “Sungai Dansari,” Cherax sp. “Blug Kong” Crayfish, the Mountain Swordtail (Xiphophorus nezahualcoyotl), Corydoras sp. CW 112, and an unknown tetra, possibly a Heterocharax sp., from the Rio Nanay.